Heat your oil to 350°F. 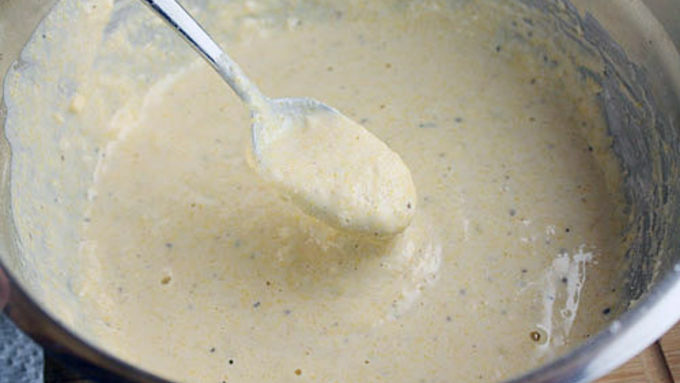 Use a deep fry thermometer to make sure it's the right temperature. 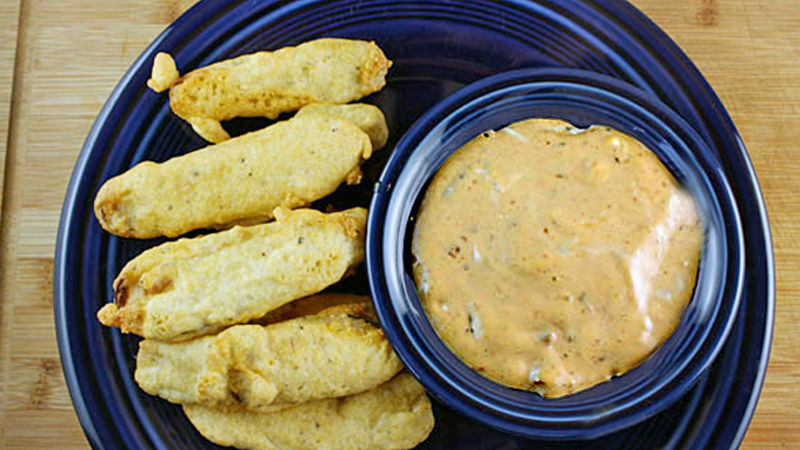 Salty and cruncy, these Deep Fried Pickles are the perfect party appetizer or gameday snack! You may have seen deep fried pickles at restaurants and they've been popular in the south for a while now, but for some people they will probably be completely new. 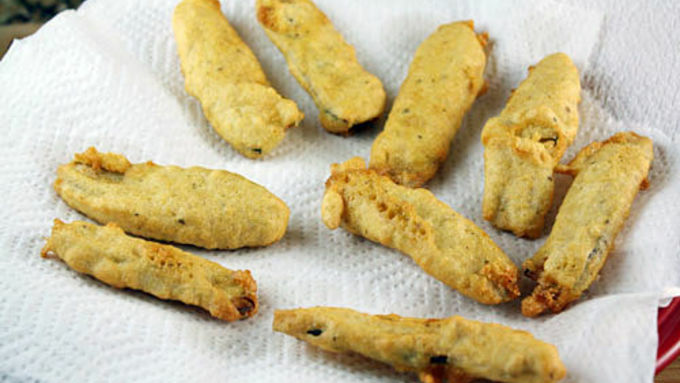 If you're a deep fried pickle newbie, trust us, once you try them, you'll never look back. 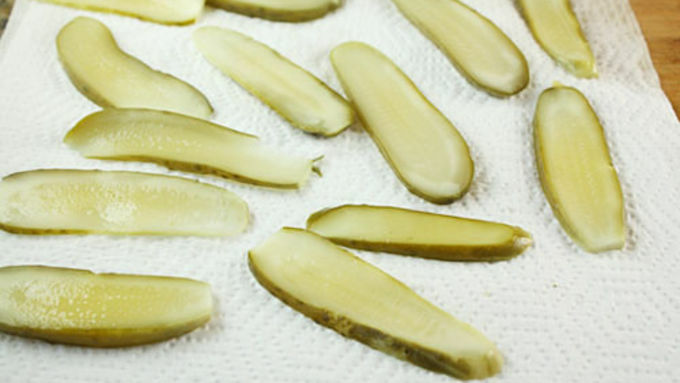 For this appetizer, try to find really crunchy pickles, like the kind found in the refrigerated section of the grocery store. They tend to be a bit crunchier. 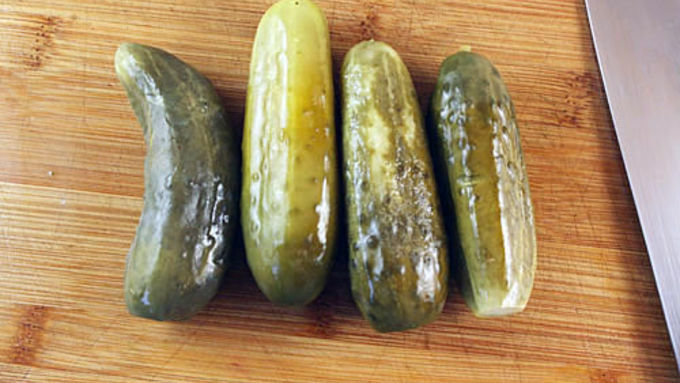 For serving size, assume about a pickle per person, but there's enough batter in this recipe to make probably 8-10 pickles. Slice the pickles as thinly as possible, lengthwise. It makes it easier to dip them. 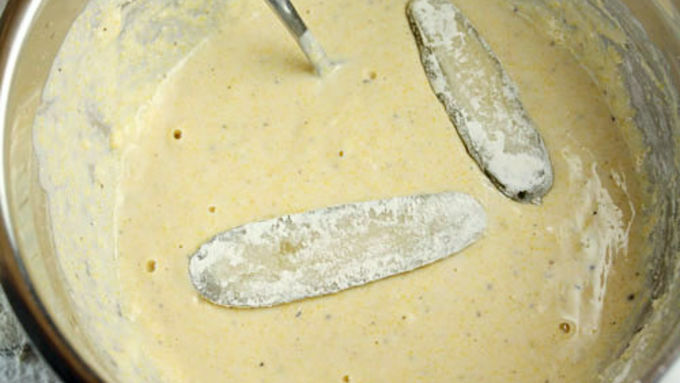 You can also use beer for the batter, but milk works as well. Both are good, but beer ends up being a lot crispier. Feel free to adjust the flour or liquid if you want the batter to be thinner or thicker than my version. It's pretty flexible. While frying you probably will have to work in batches depending on the size of your pan. At your convenience, we'd recommend mixing up a dip for these guys. 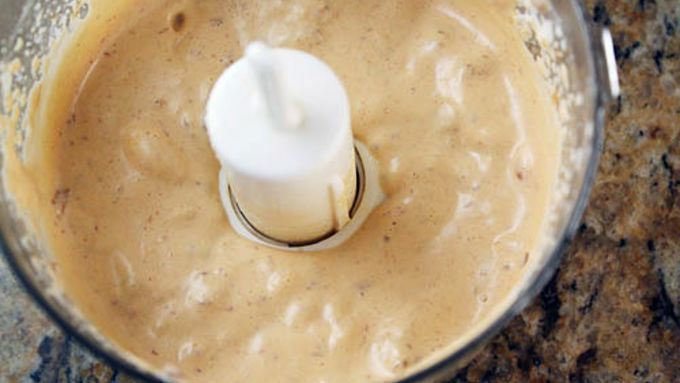 Just process a few chipotles with some mayonnaise for a spicy dipping sauce. It pairs perfectly with the pickles. It goes without saying, but serve these guys when they are nice and hot! These might not make sense to you, but trust us, they are really addictive!